All Backflow testing must be performed from a licensed company whose technicians hold a cross connection certification. Most people think that water can only flow one-way, from the water source to the tap. However, water can also flow in the reverse direction during certain conditions, such as when a water main breaks, a pump fails, or a heating/cooling system builds up too much pressure. When the water flow is reversed, even for a short period of time, the results can potentially be extremely serious, as non-potable water can contaminate the fresh water supply. Health risks may include waterborne diseases from such contaminants as Encolpia, Salmonella, and Giardia, and exposure to toxic chemicals like pesticides, metals, and volatile organic compounds. This can potentially occur in both residential and industrial environments. Equipment failure isn’t the only backflow risk. A cross connection is any direct or indirect connection between a potable water system and any other liquid, gas, or solid matter and could create potential problem without backflow protection. For example, fire suppression systems in old commercial buildings are dangerous, as water often sits unused in the black iron piping for many years. In this case Backflow devises are crucial to ensure lead in the water does not make its way into the drinking water. 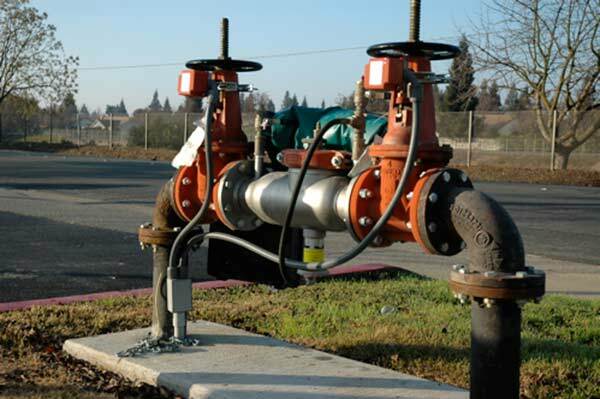 How Often Does Backflow Prevention Devices Need to be Tested? The City of Vancouver and surrounding Municipalities require annual testing of all backflow prevention devices. If testing indicates a failure, businesses or residences are required to repair the equipment and submit it to a new round of testing following repair. We proudly provide our services to most areas around the Lower Mainland such as Vancouver, Burnaby, Tri-Cities, Coquitlam, Port Coquitlam, Port Moody, Pitt Meadows, New Westminster, North Vancouver and West Vancouver. In order to ensure the proper operation of a backflow prevention device, it must be tested upon installation, repair, relocation or replacement. To ensure that backflow prevention devices are functioning properly, a certified tester must test perform the inspections and installations. Contact DJ Plumbing at 778-227-1119 or info@djplumbing.ca for a free estimate.